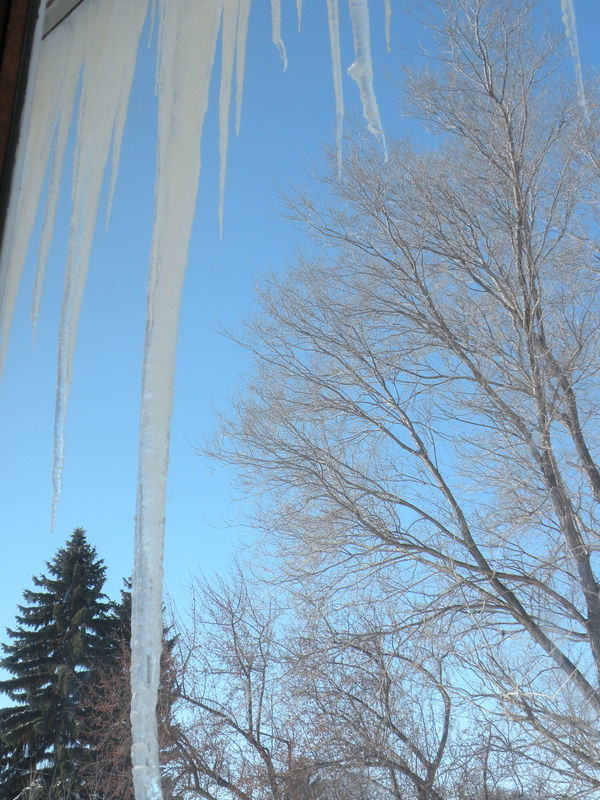 The icicles hang with such weight. An accumulation of the season past. Their fall will come with the season ahead. They wait in the in-between. The freeze and the thaw. But we look forward to the seasons ahead. We remember the days, harvesting the garden, long ago. They seem like only distant memories. We look ahead, to the days when we will be planting the next garden. But there is something still that keeps us connected. Our seasonal way of living, here in the present, connects us to the bounty of years’ past and to the possibilities of the year ahead. 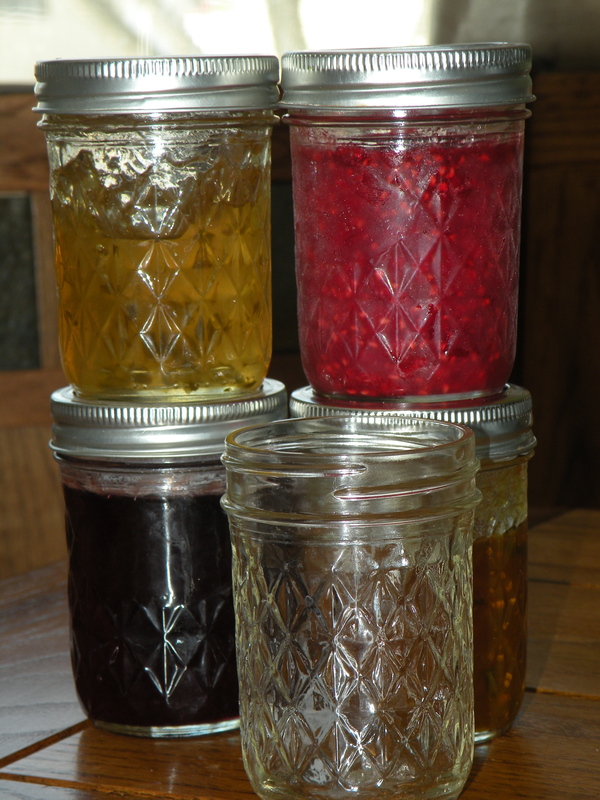 Jars of jams and jellies emerge from the dark cellar. They glisten in the light. Greet us with exciting flavors. We bid some farewell as we divide up the last tastes of their fruits. I wash the jars and return them to the basement. Thinking back on fond memories. 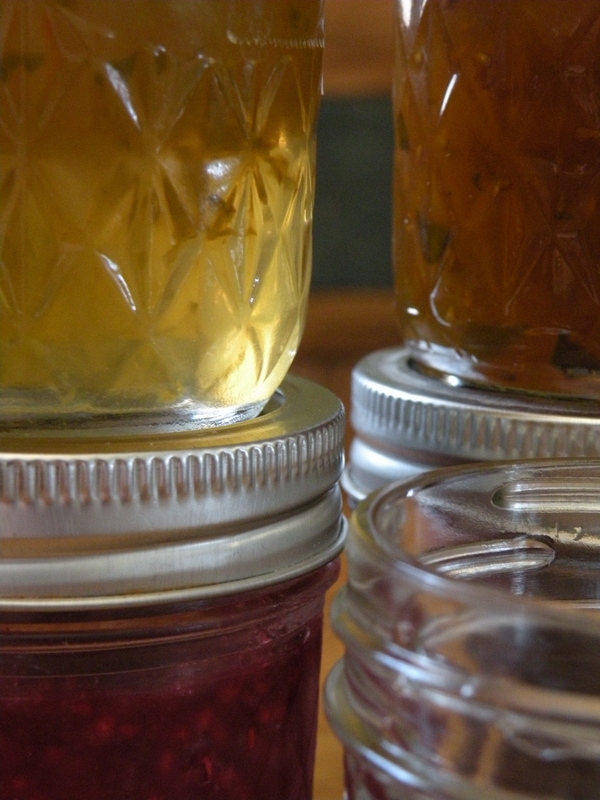 The chokecherry- crabapple jelly. Made from chokecherries that some of my students collected and shared. Then, paired with the crabapples from the tree that grows in our backyard. The jalapeño jelly. So simple, yet so flavorful. An instant favorite. Sweet and tangy, a lovely wake up call. Apple-Basil jelly. Made from the unwanted apples from our neighbor’s tree. A recipe so simple and a taste so elegant, there is no reason we shouldn’t have more in our storage, except that we gave so much of it away. Yellow-Tomato jam. Another basil flavor, but with tomatoes, just as basil should be. And a wonderful way to use the excess of yellow pear tomatoes. This is the jam we have become known for making. Raspberry. Oh, raspberry. This is the one my husband caught me eating spoonfuls of early this morning. This is the one we only have one jar of left. 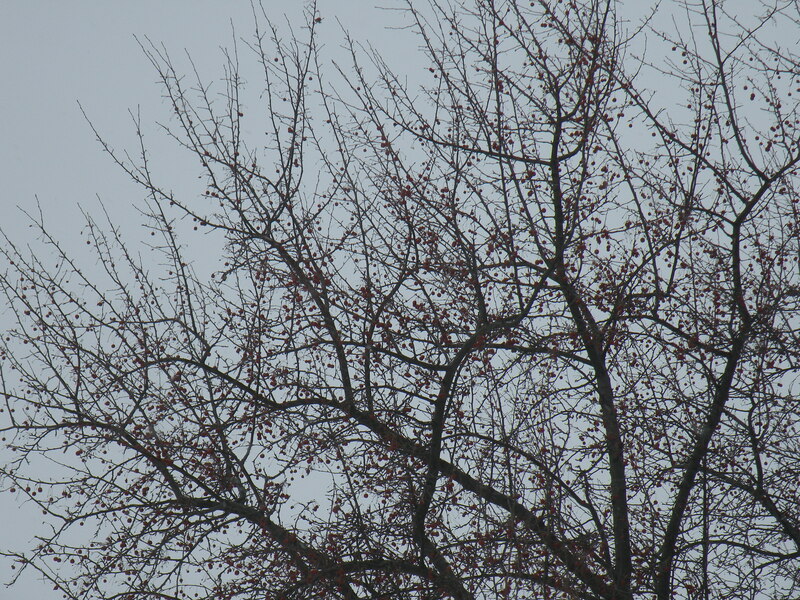 This is the one that makes me know that spring will come again. And how grateful I am to have learned how to make these wonderful foods! How grateful I am to have had the time to make these. The weeks I spent in the kitchen making these feels so far away. Not just through a tense of time, but emotionally. Some days it was all I could do to get this ‘work’ done. I trusted we would appreciate these flavors one day. I reminded myself that the work of preparing, cooking, and canning was a choice. In a sense, it was a luxury to be able to seek out such recipes. And to know there is more for the days ahead. Posted in Appreciating the Moment, Cultivating the Soul, Gaining a Sense of Belonging and tagged family, food, gardening, homesteading, joy, north dakota, philosophy, poetry, preservation, seasonal eating, winter, writing. Bookmark the permalink.